Oh so pretty in pink, indulge your inner Fairy with these wire wrapped ear cuffs! 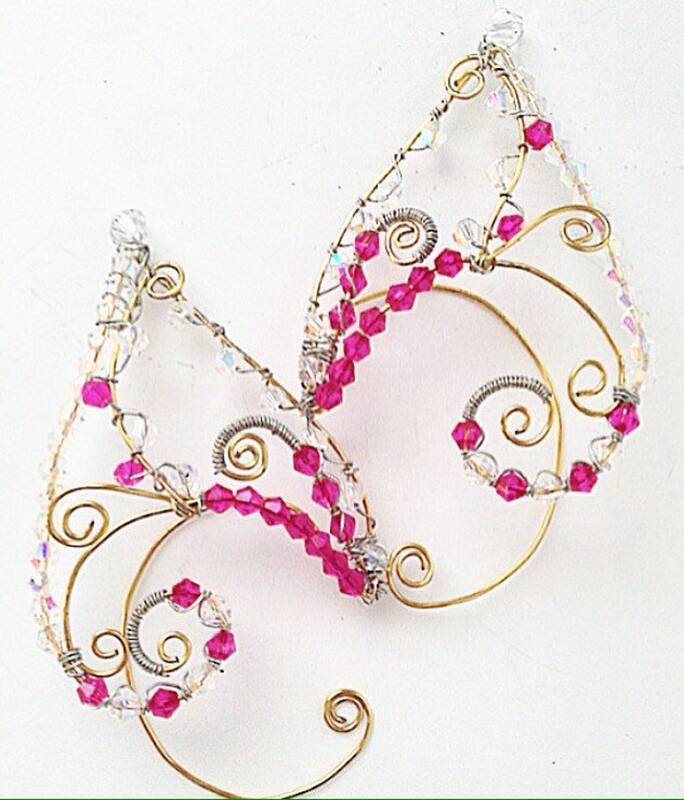 Carefully crafted in gold and silver wire, with hot pink & aurora borealis faceted glass crystals. Lightweight and fun to wear, the perfect finishing touch to everything from your fairytale formal dress to your Renaissance Faire costume. To wear: hold cuff flat next to ear, slip the ear hook over top of ear & behind, them wrap the bottom of wire around the base of your ear to the front. Then gently squeeze between both hands and mold to your ear. That's it!